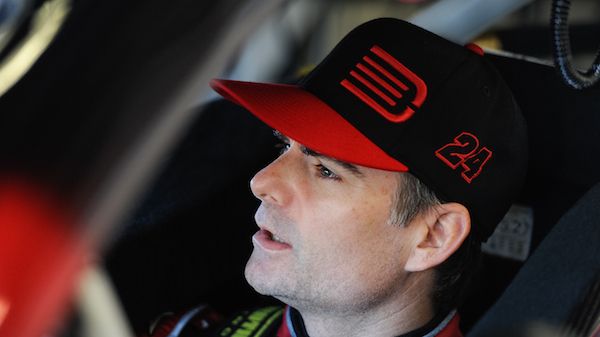 Jeff Gordon will join Darrell Waltrip and Mike Joy in the FOX Sports booth as a race analyst starting with the 2016 NASCAR season, the network announced earlier today. Gordon, a four-time Sprint Cup champion who is widely credited with helping take NASCAR mainstream, announced in January he would retire at the end of his 23rd season as the full-time driver of the No. 24 Chevrolet. Gordon has agreed to a multi-year deal with FOX which will see him serve as a race analyst for every event on the NASCAR Sprint Cup calendar, starting with Daytona Speedweeks next February. He will call the both NASCAR Sprint Cup Series practice and qualifying sessions, along with the race itself. FOX says the move is more proof of Gordon’s affability, which helped him land multiple TV, movie and commercial roles of the course of his long and successful career as an auto racing driver. Gordon has scored 92 victories in 772 career starts, along with 322 top fives and 461 top 10 finishes. Between him and three-time NASCAR champion Darell Waltrip, there will be seven NASCAR championships-worth of experience in the FOX Sports booth next season. How’s that for insight?